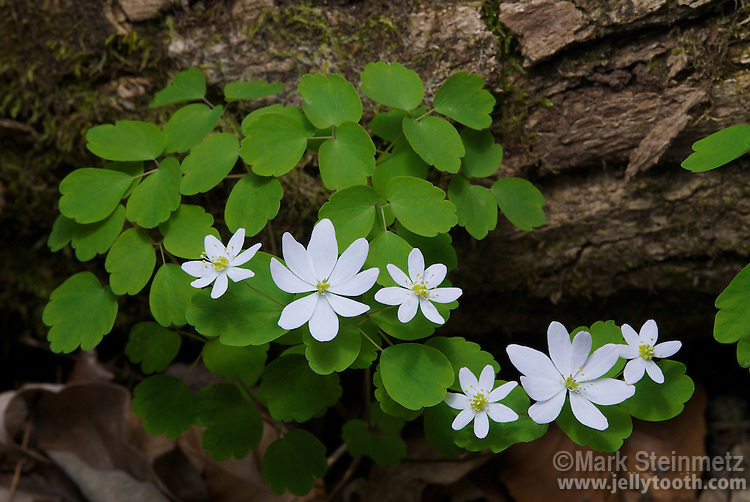 Rue Anemone (Thalictrum thalictroides), a woodland wildflower native to the forest of eastern North America. The white to pinkish flowers are composed of showy petal-like sepals. Highland County, Ohio, USA.